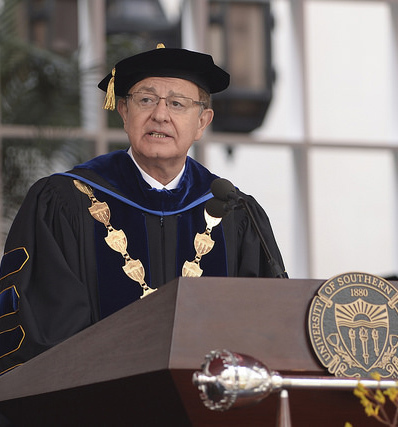 C. L. Max Nikias, the eleventh president of the university, has been at USC since 1991, as a professor, director of national research centers, dean, provost and now president. Here, he addresses the Class of 2016 with words of inspiration and encouragement. Photo by Gus Ruelas.